If you are wondering how to get a pearly white smile, there are plenty of options for you to choose from. You can have your teeth bleached by professionals at a dental centre or buy DIY whitening kits. Another home remedy is to use baking soda, an ingredient that you probably stock in your kitchens. We tell you how to whiten your teeth with baking soda at home. 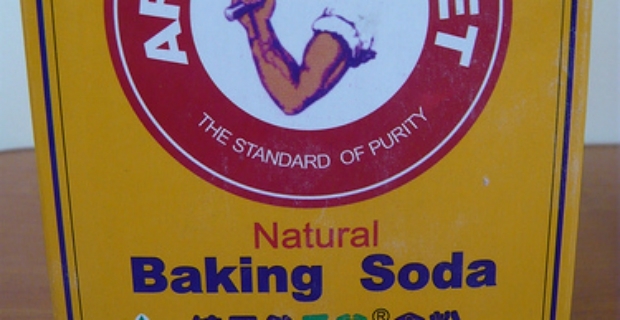 Baking soda or bicarbonate of soda has many uses such as an ingredient in cooking, baking and household cleaning. It can also be used on the teeth. It has a mild abrasive property making it an effective teeth cleanser for removing stains and plaque. Here are the steps how to whiten your teeth with baking soda. Mix one teaspoon of baking soda with one teaspoon of water in a container. Dip your toothbrush in the mixture. Add your usual toothpaste on the brush. Proceed with brushing your teeth. Rinse well with water to eliminate the taste of the baking soda. Remember, it is not a pleasant flavour so be prepared for a salty taste when you are brushing. Brush your teeth as you normally would. That means cleaning it for at least 2 minutes. Rinse normally. Put a part of the mixture of the baking soda mixture on your toothbrush. You can also skip the mixture and put baking soda directly on your toothbrush full strength. Again, baking soda will taste different. Brush your teeth again for at least a minute. Rinse well and floss as usual. You can also add hydrogen peroxide along with the baking soda as another alternative. The mixture will be half a teaspoon baking soda and half hydrogen peroxide. Proceed with your normal brushing routine. Baking soda is a versatile ingredient that has many uses including as a teeth whitener and cleanser. The above tips show you how to whiten your teeth with baking soda. Don’t forget to complete your brushing regimen by flossing your teeth. You can also put the finishing touch by using a mouthwash for a smile that is sparkling white and a breath that smells fresh.